I started my yoga journey with a weekly yoga class. That was fifteen years ago. Little did I know that yoga would be such an enormous part of my life! I studied four years to become a yoga teacher, did a further fifth year of post-graduate studies and continue to attend classes and workshops. I am constantly amazed by the never ending ‘source’ that yoga is. Yoga is like mining a deep vein that just keeps giving, it is a source of nourishment, of curiosity, a complex seed ground of learning and adventure. Sometimes it is easy. Sometimes it is… not so easy. It is always generous. If you just want to feel better, physically and mentally, if you want to de-stress and learn to quieten the mind, then come to a class. Don’t worry about being perfect, or supple, don’t worry about being young or old, fat or thin. Yoga is for everyone, every posture can be adjusted to suit your body. In class you just do what you can. 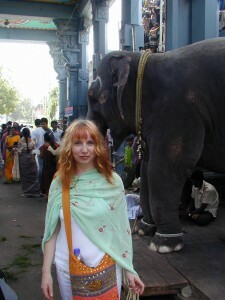 Caroline Barry has trained in India and Ireland. Four years training and a further fifth year post-graduate. She has ten years teaching experience – teaching all ages.